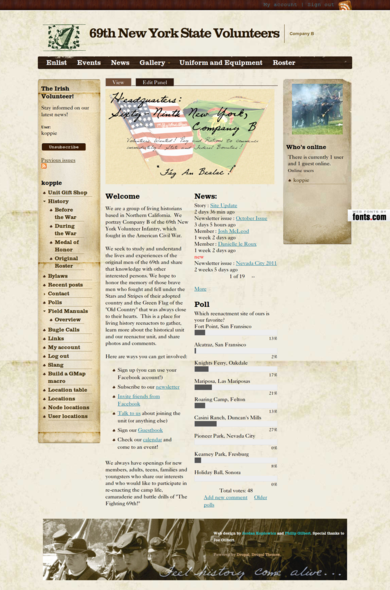 This is the web presence for a local non-profit, under the aegis of the American Civil War Association. This site offers information for potential volunteers and serves as a reference for existing members. This site is hosted as part of a Drupal multisite installation, managed by Koplowicz & Sons.